Yes, it happened in Vegas … but, I’m not about to keep it secret! Last week’s Digital Dealer 17 – the Conference – was a powerhouse of vehicle selling know-how! It was a treasure trove of super savvy, in-depth learning from some of the sharpest minds in the world of online vehicle marketing & sales – including related insights by – none other than – Jordan Belfort, the Wolf of Wall St. himself. Below are many valuable, point form take-aways & tid bits from the pros. Each expert is cited and – where possible – I’ve “RV-ized” some of the tips, facts & pointers for you, the experienced and discerning, digitally keen RV dealer. Vehicle buyers go through an average of 24 “touch points” when looking for a vehicle. 84% of buyers watched a video. 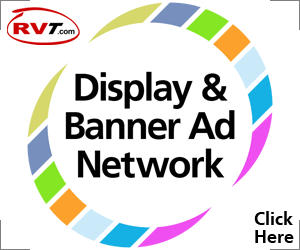 Question from Tim: What is your dealership’s most important advertisement? Answer: Your Vehicle Detail Page (VDP) or as we call it in the RV biz, your RVDP. Your listings are your most important advertisement. Advice: Make sure your videos are on all your touch points. Action Item: Do you have video walk arounds of your RVs on your website? If so, go to each of your 3rd party sites – do it now – and check to see if your videos are working correctly on ALL your 3rd party sites. If buyers do not immediately see what they are looking for on your website, they quickly leave. So, Ram advises, add a banner across the bottom of your site which states something like: “This is just a partial listing of all the vehicles we have available. Please call for an up-to-the-minute list.” A California dealer saw a huge increase in calls using this tactic. BDC funerals are happening now. Your “open floor” sales policy has got to go! – Ram asserts this is because an “open floor” (where any rep can take any “up”) encourages reps to hang around waiting for buyers instead of being in the back, working the phones, following up prospects and digging for new and referral business. Also, having reps wait for buyers is intimidating to customers and does not help your dealership provide a “world-class” customer experience. Leads can be grinders who chew into your gross. The best way to preserve your margins, according to Ram, is to “ambush” buyers. I.e. develop a systematic process where you effectively “work” your sold customers – and equally – your service customers. 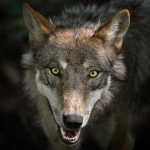 “Ambushed” buyers often give dealers the best margins. Follow up emails with videos are king. 69% of buyers visit only 1 dealership to buy a vehicle. 37% of automotive leads are NEVER followed up! 86% of all automotive leads bought from the 1st dealership to contact them! Dealers contact attempts past 2 contacts drop off by 540%. Closing ratios of car sales are 80% closed on 5 follow up calls and 90% closed on 6 follow up calls. Never stop following up. EVER! Pointed out that most dealers today have a serious disconnect between what they spend their marketing budgets on and which media today’s buyers are consuming. Consumers are using “this” media. You are spending on “that” media. Consider Video Pre-Roll as part of your digital strategy – you pay only if they watch your video. It’s cheap. $0.12 per click. Less than 50% of Internet users skip all videos. Website visitors who are re-targeted convert at rates 70% higher than visitors who are not re-targeted. 4. Expert: Jordan Belfort – The Wolf of Wall St.
People buy when they can imagine themselves having made the decision and feeling good about it. You’re trying to build certainty. 1. You have to LOVE the product. 2. Buyers have to trust & connect with you. 3. You must sell the company. 4. Determine the buyer’s “Action Threshold.” Some people buy easily, they love buying. Some people buy with difficulty, they hate buying. Determining what the buyer’s Action Threshold is will help you know better how to close the sale. 5. Pain Threshold – Obviously if the buyer does not buy, they will experience some kind of “pain.” Determining what each buyer’s Pain Threshold is will give you clues as to how to best work the sale. Belfort took these 5 principles, trained a group of (what Belfort calls) “Forest Gumpites” who suffered from “limiting beliefs” and each one became a multi-millionaire. a. Sharp as a tack. c. An expert in their field. Also crucial are body language, tonality, what we wear and facial expressions. Don’t lose your ethics and integrity to greed. But remember, healthy ambition makes a lot of things work in this world. More inside-track, Digital Dealer 17 goodness will be coming your way in the next weeks! Questions? Discussion? Please leave a reply below! Hello Chris, I was down at DD17 and these were some of the better session. I wish I knew you were there so we could have connected. I really liked Tim James session. Have a good one! James! Eeesh, so sorry we missed each other! Next time! So, wondering if you guys have tried Tim’s video autoresponders or video lead responses? How about Tim’s video appointment confirmations or any of what so many others speak so highly of, those “after-you’ve-demo’d-the-RV” follow up videos which get sent out to each individual lot “up” by email? So many places you can go with video to bump sales. I think it makes tons of sense. Thanks for the recap Chris. Sounds like a great program. I would add for those who produce video – wise to place them on YouTube – I often look there to get more information on a specific unit (where the dealer website only has a few pics) and it’s lead me to new dealer relationships. Next, if you do a video PLEASE PLEASE be professional. Sounds simple but I really do not need you to open every cabnet and tell me “this has the most storage of any RV in it’s class.” Really … the tires are soft and the windows are big. SERIOUSLY – know your product line. Give me the knowlege to buy your product vs. another one. 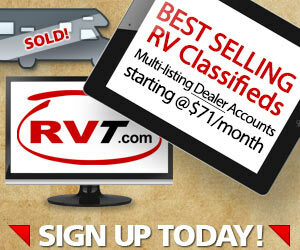 Lets sell some RVs people. Great reminders about videos! Always strong to remember the buyers’ situations as you describe. These video watchers are real buyers who are in the middle of the (often very) challenging circumstance of trying to decide which brand, which dealer, which size, which financing program etc. 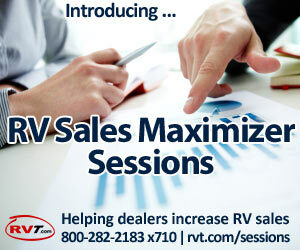 RV shoppers NEED the help of great sales reps. If great reps can approach creating videos with the thought that it’s entirely possible to “help” buyers with your videos, then, in my experience, those reps (and dealers) will be the ones that buyers call or pop in to visit.